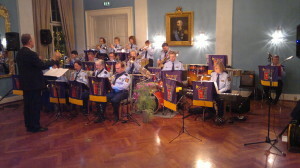 Oslo Police Big Band was first created in 1978, and played among other venus at the World Championships in ten-dance in the Great Hall at Skedsmo, Lillestrøm. The band played so well that the professional dancers and audience acclaimed the musicians in to the clouds. Thats a great remark when such a discerning audience and participants were satisfied. There are still some musicians in Oslo Police Orchestra who played for the professional dancers on the floor at the World Championships in 1981. 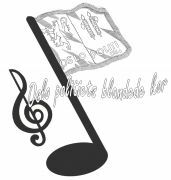 The Big Band released in 1984 the LP/cassette: «Politet på sporet», on the occasion of the Oslo Police Association’s 90 year anniversary. On the LP/cassette the band had with them Benny Borg, Hanne Krogh, Peter Müller and Ellen Nikolaysen. Here are the tracks from this LP/cassette. The Big Band also attended on a recording when «Norsk Ukeblad» celebrated their 60th anniversary in 1993. The Big Band was after this period fallow, but was revived as a project of the Norwegian Police Music Festival (NPMF) in Stavanger in 2008 and has been operating since. The band has been a regular fixture on the banquets to the NPMFs since 2008, and has also played for the National Criminal Investigation Service (NCIS/Kripos)s 50th anniversary. In our last projects we have had external jubilees who have hired the band to play for dancing. And it is possible to book us for new assignments. Here is some audio clips from the band with its current crew.